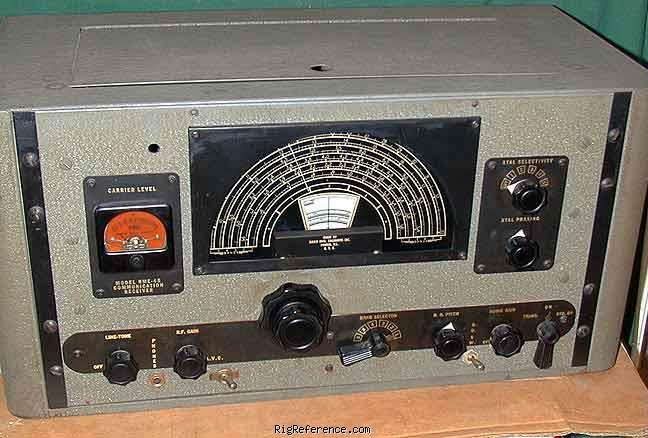 The RME-45 is one of the better post WWII receivers produced for the radio amateur in 1946. This set had quite a few innovations in electronics derived from wartime experience. Voltage controlled and temperature compensated capacitors were to improve frequency stability. Features include variable X-tal filter, ANL, relay control and break-in terminals on rear apron, illuminated dial and "S" meter, tremendous mechanical bandspread and two speed tuning, BFO and pitch control for CW reception and many other features. Frequency coverage is from 0.55MHz to 33MHZ in six bands. The RME-45 uses loctal tubes except for the rectifier and the VR, 10 tubes total. Estimating the value of a rig can be challenging. We collect prices paid by real hams over the years to help you estimate the current value of the RME 45B. Just bought or sold this model? Let us know what you traded it for and help other ham operators!